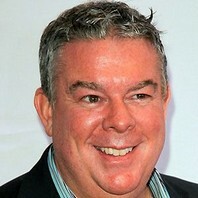 Radio show host who became famous for his nationally syndicated show, Elvis Duran and the Morning Show, on Z100. Prior to getting his start on syndicated radio he worked as an on-air personality for WIOQ, a network in Philadelphia. He won the Personality of the Year Award at the Radio Music Awards. He was born in McKinney, Texas. He publicly came out as gay in 2010. Greg Tyndorf, AKA Greg T the Frat Boy, became his co-host on Elvis Duran and the Morning Show. How much is Elvis Duran worth? @Trell9998 @ElvisDuranShow @babyhotsauce @DanielleMonaro You can do this!! @ScottLowery94 Me, too! Remind me to write it.